Children had the opportunity to plant, nurture, harvest and eat the food. 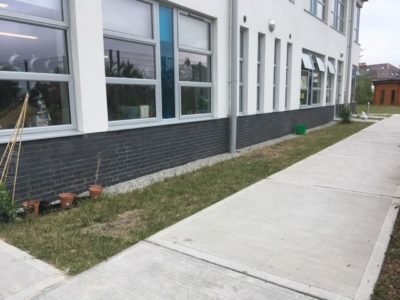 We hope to recreate this in our new, bigger school site by building raised beds outside the classrooms and beside the play areas. We will use recycled plastic, which is long lasting and non toxic. 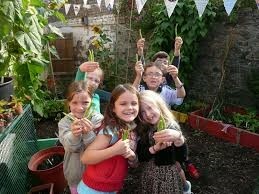 Children will plant different vegetable or fruit depending on their class group. Parents will be involved through classroom work and the PTA gardening committee. Area where we plan to put our raised beds. By situating them around our play space (yard) and outside our classrooms the children will get to see them every day and to engage with them in a meaningful way instead of just a one off trip to plant followed by a one off trip to harvest. 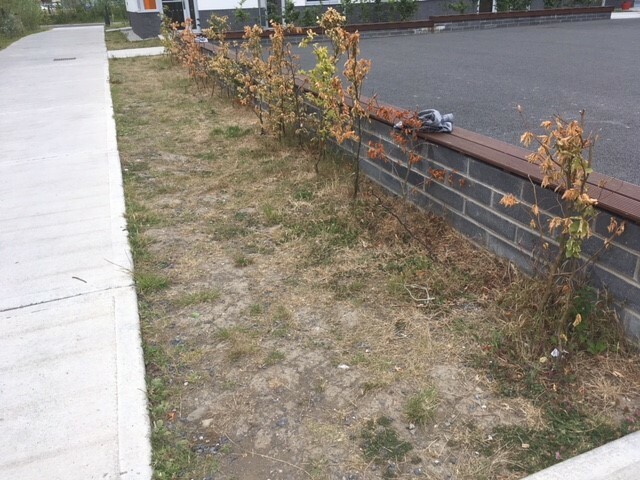 In this photo you can see our “interim” school garden solution. 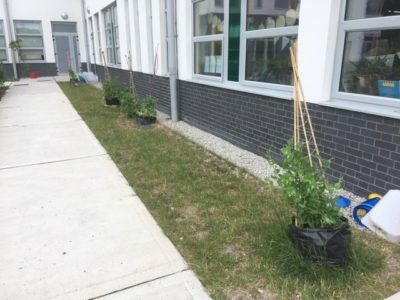 We all planted mange tout peas this year so that we wouldn’t break our growing tradition while getting our permanent school garden plans in place. Raised beds will be placed in the grassy area. 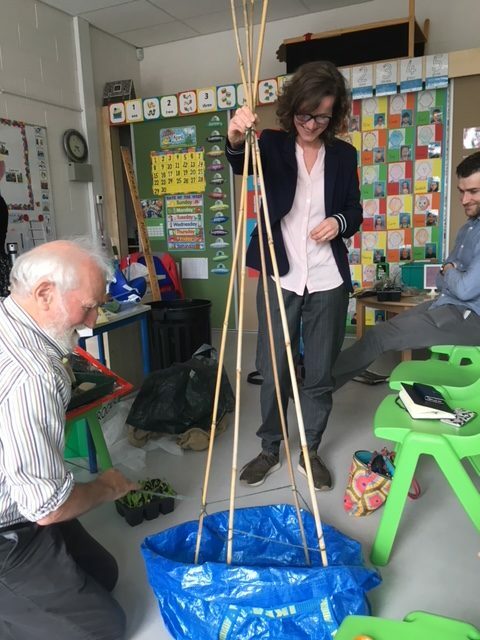 In May 2018 we got Paddy Madden (School gardening expert, retired teacher and lecturer) into school as part of our Continuous Professional Development. He delivered an excellent workshop on developing the school garden for the staff and Parent Teacher Association. We have based our plans around this. We also plan on building a sensory garden in the future, appealing to the 5 senses. This will be particularly inviting and appealing to the children in our Assisted Learning Classes (our Autism unit). Our whole garden plan is a long term one so we will fund what we can this year and continue raising funds and working towards our other goals (wormery, wild flower meadow, herb garden etc). I am delighted to say that we have been funded €2000 towards our plans this year from Local Agenda 21, our local authority and the European Union. This will be matched from funds raised for our school garden. Our raised beds are currently being built off site and we look forward to installing them soon and getting planting in the Spring. I will keep you updated with our progress!